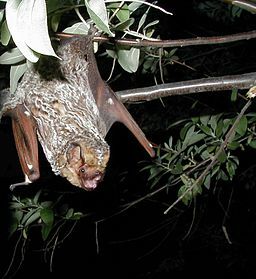 As summer ends , some of the bigger bats of Stanley Park, like the Hoary bat (Lasiurus cinereus), will start to migrate south for warmer winter climes while some species stay to roost over the winter. The most bats you’ll see after summer, then, will probably be the costumed ones at the Stanley Park Ghost Train! Dr. Cori Lausen, with her team of bat biologists (chiropterologists) and members of the South Coast Bat Conservation Society, along with SPES staff and volunteers, conducted bat surveys in Stanley Park this past August. This work is essential for identifying White Nose Syndrome (WNS), a devastating fungal pathogen to which little brown bats are particularly susceptible, that has significantly reduced bat populations in Eastern Canada and the United States. 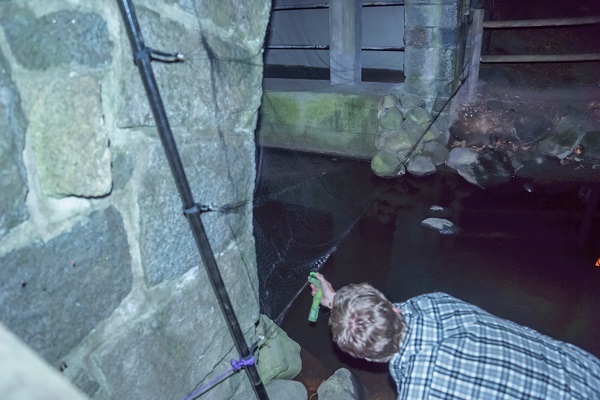 From dusk until midnight, the team conducted a live trapping and release method using mist nets. Mist nets are a non-intrusive way of catching bats (and wild birds) that requires permits for use. Similar to a volley ball net set-up, the nets are strung horizontally between two poles across an area through which bats are likely to fly. 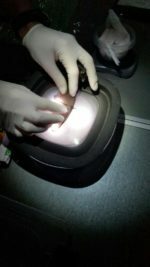 Once the bats hit the fine, nearly invisible netting, trained biologists gently collect the tiny entangled mammals to take a few quick but important measurements before releasing them. 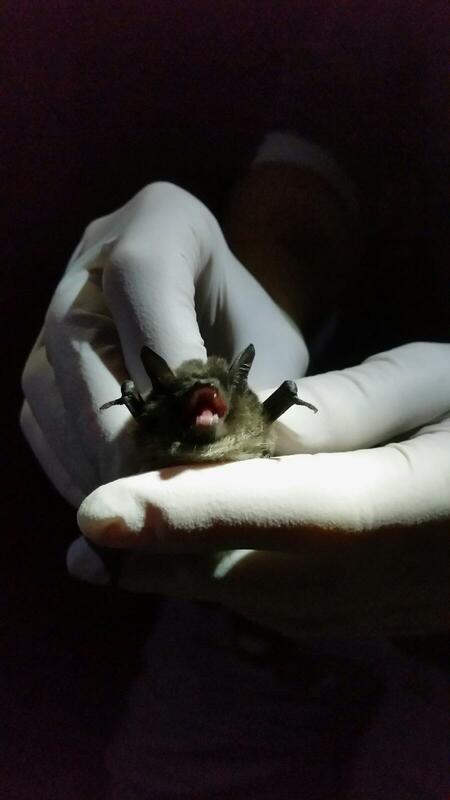 After setting up three mist nets across Beaver Creek where bats swoop down for a drink or leave the forest to hunt insects over the seawall, Dr. Lausen and her team successfully captured three bats: one male juvenile Yuma myotis (Myotis yumanensis) and two adult little brown bats (Myotis lucifugus), a male and a female. These bats were then weighed, measured and inspected by Dr. Lausen and her team. Dr. Lausen’s work is essential towards identifying and understanding WNS. To date it has not been found in British Columbia but the disease has crept into Washington state. The need to better understand local bat populations, improve protection measures and increase bat awareness could not be more immediate. Considering that a single little brown bat can eat up to 1000 mosquitoes per hour points to their important role in insect control and ecosystem balance. Losing these remarkable flying mammals is inconceivable.